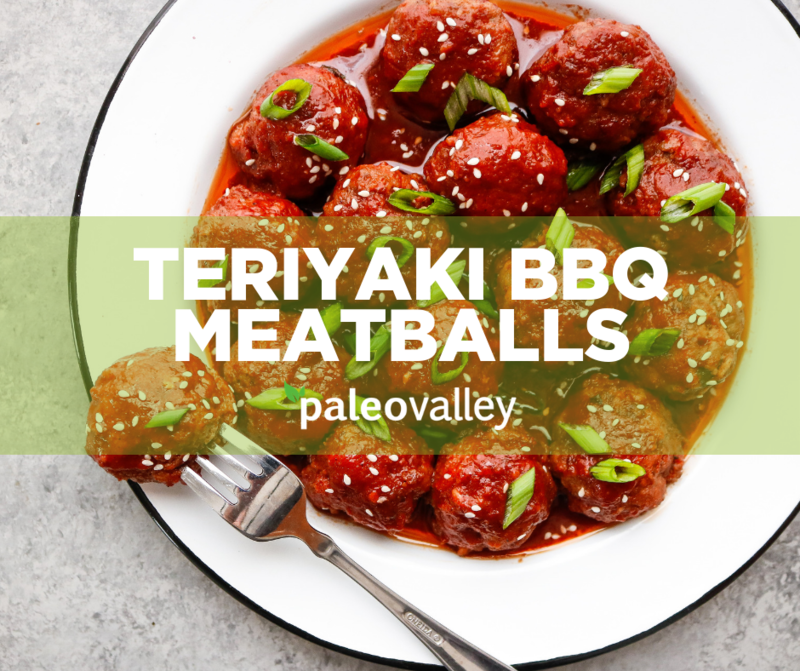 If you’re in need of a crowd-pleasing recipe that is the perfect two-bite munchie, look no further than these teriyaki meatballs. Asian flavors simmer together in a tomato sauce for a barbecue-style sauce that’s sweet, nutty and lip-smacking good! Unlike traditional meatballs, this Paleo version uses blanched almond meal to add fluffy texture and help bind. Blanched almond flour blends seamlessly into meatballs or meatloaf because the skins have been removed so there is no gritty texture. Ginger, chili flakes, garlic, and green onion add the perfect balance to the sauce and marry well with the Asian theme. Chopped cilantro or chives can also be used. 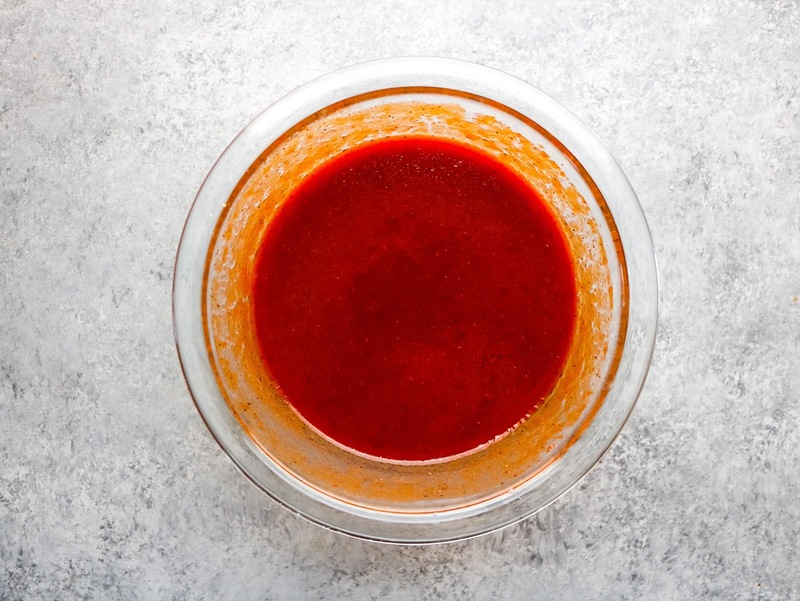 The homemade teriyaki barbecue sauce is less smoky than classic barbecue sauce using nutty toasted sesame oil and coconut aminos instead of liquid smoke or smoked paprika. The sauce can be used on chicken or pork as a marinade or for basting while grilling. 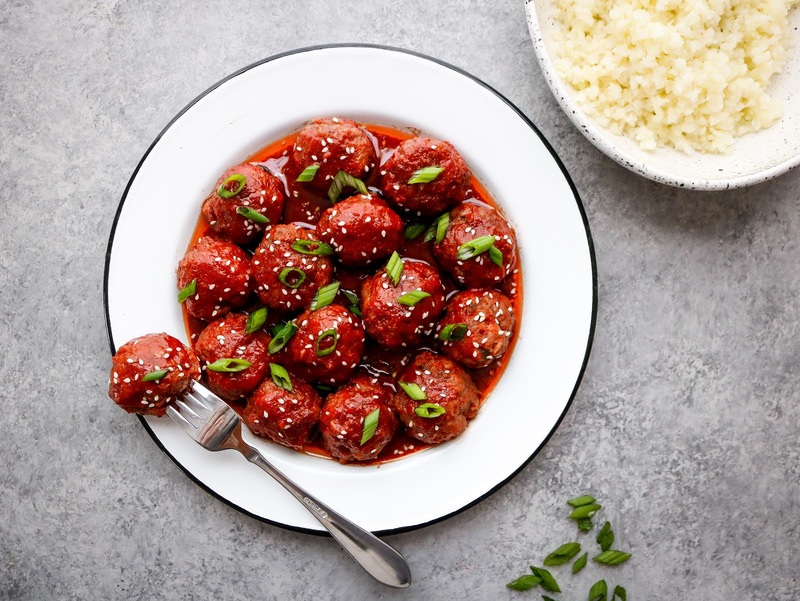 When it comes time to enjoy the meatballs, you can stick toothpicks in them on a serving platter for easy serving or spoon the meatballs and sauce over cauliflower rice or zucchini noodles for a Paleo treat. Store any leftovers in an airtight container in the refrigerator for up to 1 week. In a small mixing bowl, stir together ingredients for teriyaki barbecue sauce until smooth. Set aside. 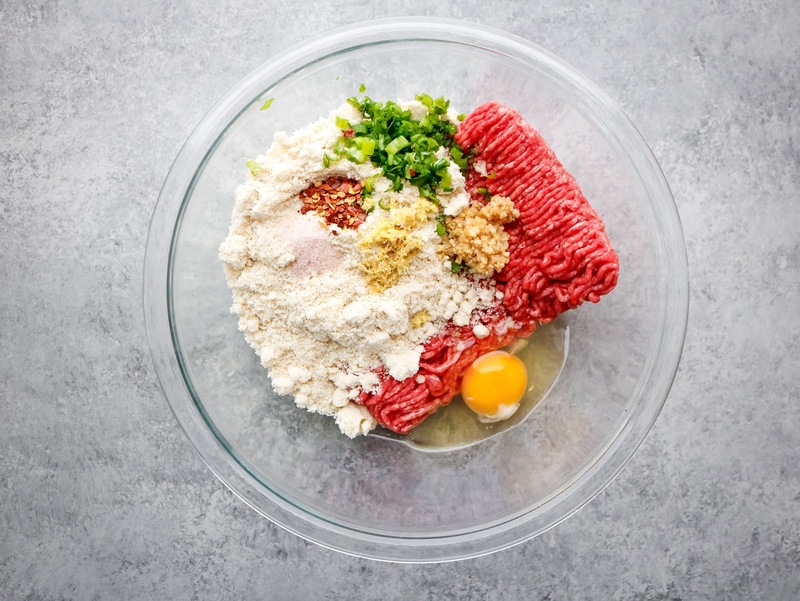 In a separate medium mixing bowl, combine ingredients for meatballs and thoroughly mix to combine. 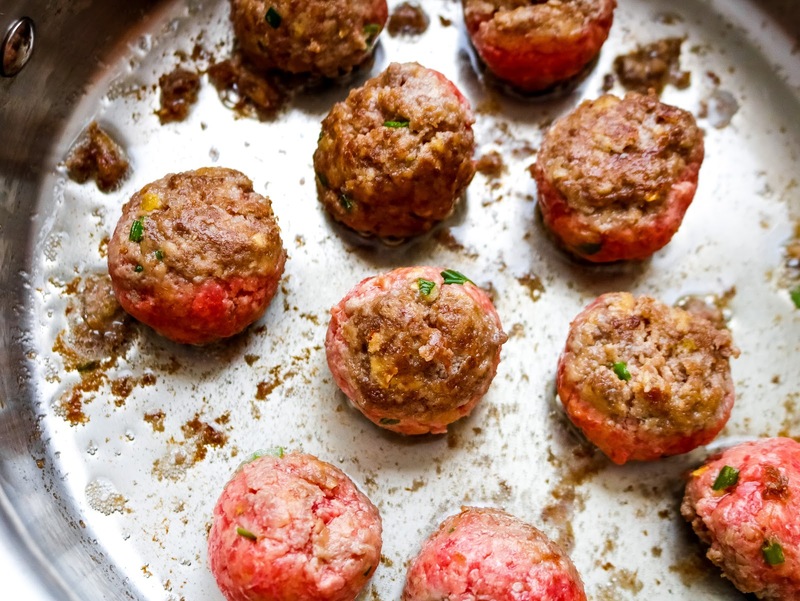 Form meat mixture into approximately 18 meatballs and place on a large piece of parchment paper. Heat 2 tablespoons of avocado oil over medium heat in a medium sauté pan. Working in 2 batches, add meatballs and brown for 6 minutes, rolling meatballs around in pan every 1-2 minutes for even browning. 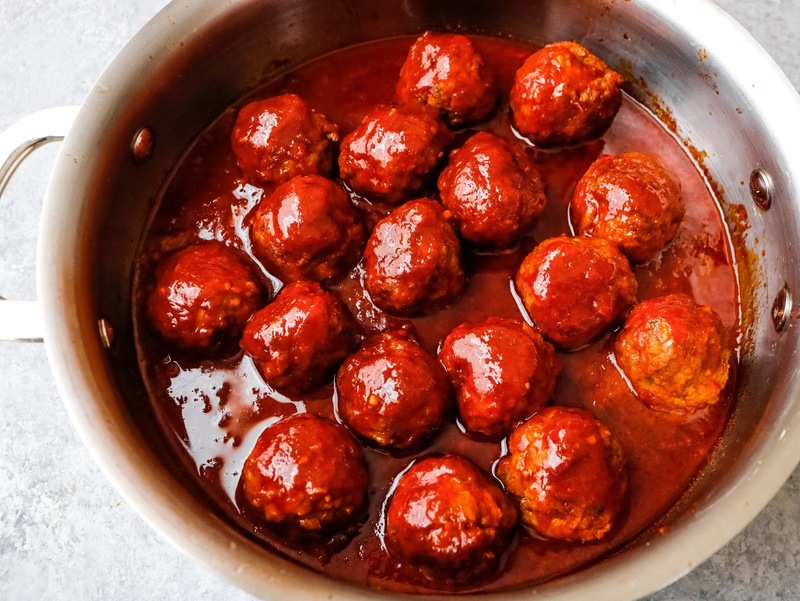 Remove first batch of meatballs from skillet and set aside on a plate. Repeat with second batch. Reduce heat to low and add all meatballs to pan. 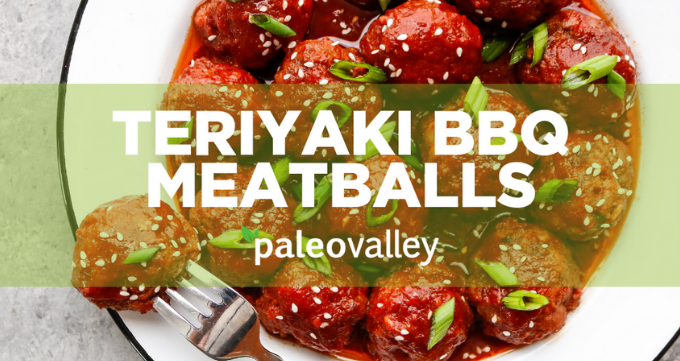 Pour teriyaki barbecue sauce over meatballs. Simmer meatballs for 30 minutes or until completely cooked through, stirring occasionally. Serve hot garnished with sesame seeds and green onion. Need another easy snack to satisfy your guests? Grab a few packs of Paleovalley’s 100% Grass Fed Beef Sticks or Pasture-Raised Turkey Sticks for up to 28% off and free shipping over $75!